Clean your sealed hard floors of pet messes easier than you could have ever imagined. 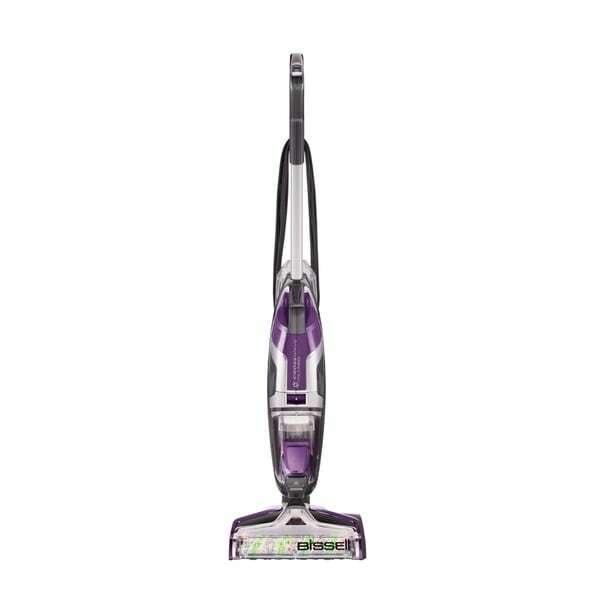 With a Multi-Surface Pet Brush Roll rotating at 3,000 RPM and an innovative, Multi-Surface Pet cleaning solution, the BISSELL® CrossWave® Pet Pro cleans better than a sponge mop and bucket, in less time. * It includes a Pet Hair Strainer for easy cleanup and specialized pet cleaning solution to remove pet odors. Pet Pro model includes specialized pet cleaning solution to help remove pet odors. Dimensions 11.0 In. X 12.0 In. X 46.0 In.